Rain (Shine Wrestling) will join the show to discuss her broken wrist and the impact it has on her immediate career. Gran Akuma (Chikara) also joins the program to talk abou this career and Chikara's Season 11 Finale iPPV "Under The Hood." Discussing current events in professional wrestling—including WWE RAW, Smackdown, TNA Impact Wrestling, Ring of Honor and many US independent promotions and regularly featuring guests from Ring of Honor, Chikara, Extreme Reunion and countless other promotions, Greg DeMarco and Patrick O'Dowd present opinionated analysis of the wrestling world that remains rooted in a love, passion and respect for the industry. 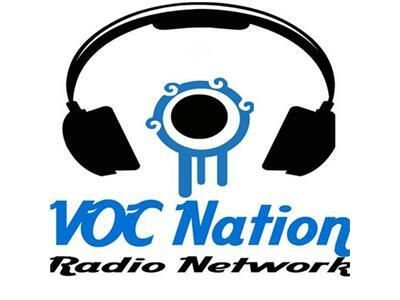 The shostreams worldwide each week via Bruce Wirt's Voice of Choice Nation at http://www.vocnation.com. 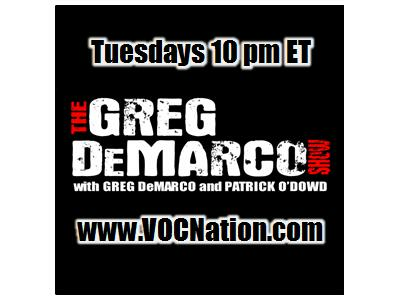 You can reach the show via e-mail at gregdemarcoshow@gmail.com, Facebook by searching for "Greg DeMarco Show" or Twitter @gregdemarcoshow.